The Epos system is the system which comprises of the hardware peripherals and the Epos software. All the things combine together to form a system and in this way the system becomes suited to promote the sales environment. 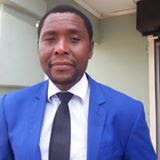 Basically the Epos system is concerned about support of the data entry procedure by means of different devices like keyboards, touch screen monitors and scanners. All of these are prone to faults and malfunctioning and if this occurs it can hurt your point of sale transactions for hours until fixed. Epos companies keep on working on fixing bugs and their new versions gets better stability and performances. Hence, make sure that you are updating your Epos software whenever a new version is available. Just set the notification on for any new version availability. Additionally, you can subscribe to the newsletter of your Epos vendor. Most of the Epos vendors communicate any new version availability or major release through their newsletters. Another way of ensuring the effective working of the Epos system is using the best supported accessories. 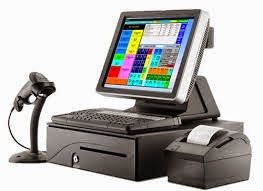 If possible buy all the accessories from the same vendor from where you have bought your Epos system. Moreover, use multi-line bar code scanners. This ensures the pricing is kept accurate and honest working of system. Consequently the cashiers are allowed to work efficiently and quickly. Computer systems are prone to get affected by viruses and malwares. Do not take a risk and always have an updated version of any good Antivirus installed in your system. There are some free antiviruses are available in the market, the best bet, buy a full version of any leading Antivirus software for a full protection. Today’s Epos systems are so sophisticated that it doesn’t need proper training to use it. However, a complete picture of its functionality and a formal training to your employees can help you avoid some pitfalls that can arise due to mishandling. Generally all the Epos vendors provide free training to Epos users. Make use of that and schedule a training session and gather all your employees to attend the same. Generally Epos vendors provide free after sales support for a limited period of time and charge additionally for an extended period. It is always wise to subscribe for their support to ensure that you get immediate attention and remedy when your Epos system starts malfunctioning. It is better to be ready than losing business for hours in case of any failure. In short,a well working and an updated Epos system is essential for keeping the sales system up to the mark. These precautions and activities help you to avoid a system failure that can hurt your business for hours. This will also be helpful in order to remove the manual flaws from the pricing system. Julie Evans is an EPOS expert and currently serves as the head of marketing at Epos Direct. For more than 16 years, she has researched and analysed the requirements of a wide range of business formats to develop EPOS software that satisfies their unique requirements. The tips which you have shared to improve the Epos System are simply useful and i would surely try these one.. I have really enjoyed reading about this blog,thank-you for sharing such a informative blog ..! This is great blog keep it up. Epos System Thanks for sharing. The Most company are like this Epos Accessories Uk .it is easy way to keept information. I am very thankful to all your team EPOS accessories for sharing such inspirational information about bar EPOS system. Wonderful post, epos system thankful to all your team for sharing such best information about POS systems. This blog on EPOS system will make us more aware of its benefits, usage and how its working for every business..Thank q for this Post.. Thanks for sharing unique information, epos good post to share. Thanks a lot for that information to share. epos system That was a really Intresting post and I would really like to know more and more. Great stuff, will looking epos system forward for some more postings.. Thank You for this Post.. Thanks for providing the information. epos systems Well done with the work. Thanks for some good write ups. epos system like to see more from you. Really nice and helpful blog with a lot of information. epos system It could help a lot more for all those readers who want to know information about EPOS system. Thanks for sharing and keep posting more. Thanks for good write a post. epos systems like to see more from you. It was a really awesome post epos system and I would really like to know more. Great blog created by you. I read your blog, epos system its best and useful information. You have done a good work. Thanks for sharing a very interesting article about EPOS System and How its going to run. This is very useful information for online blog review readers. Keep it up such a nice posting like this. Good information to know and right to the point. epos softwares Thanks for this well written post, i'll follow up for more updates if you keep posting them. The post is quite informative.emperium epos software for retail Thanks for sharing a wonderful artice. I am amazed by the information. epos softwares Thank you for sharing some good information. Great information!! compare epos systems I read all your article and I really like it. Thank you for sharing this great post. Thanks for great information you write it very clean. epos system I am very lucky to get this tips from you.